Caution: do not look at this picture if you are hungry as it will only make you hungrier. Oops, my bad. I guess you’re really hangry now? These popsicles are a great manner to cool off in the summer, plus are made with whole foods. Herro! Crushed peanuts and walnuts, oats and/or sprinkles for decorating. In a double boiler, melt the dark chocolate with the soy beverage. During this time, cut each banana in two and insert popsicle stick into each banana half. 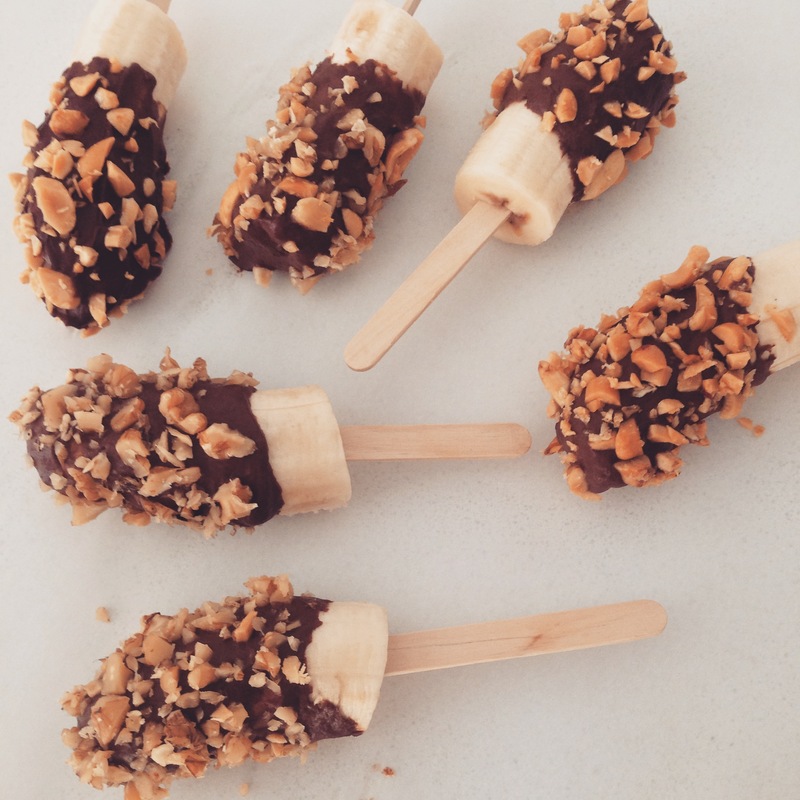 Dip each banana into the melted chocolate, cover with toppings and place on a baking sheet covered in parchment paper. Once 6 bananas have gone for a dip, place them in the freezer to allow chocolate to harden. Chill out with these pops!